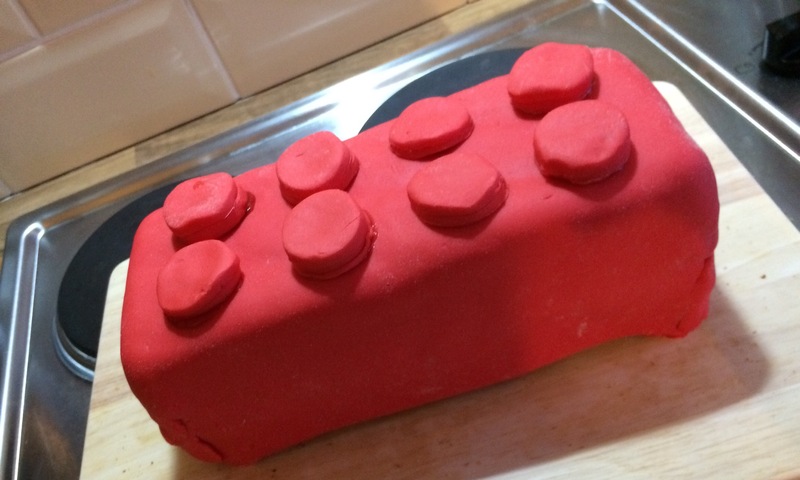 So I made a Lego cake! This is a great idea for children’s birthdays or even if you have a Lego obsessed boyfriend like mine. Due to not having a lot of time or patience I did cheat by buying the Madeira cake mix from asda and ready made icing that only needed to be rolled out. As I only had one cake tin I had to repeat the below twice. I started by preheating the oven to gass Mark 4. I then added one of the Madeira cake mixes, 2 eggs, 75 grams of soft butter and 150ml of milk, which I whisked until smooth. I then placed greaseproof paper in the tin and poured the mixture out evenly. Once this was done I placed the cake in the oven for 30 minutes, this did take a little longer so leave in for extra time if needed. After repeating the above step and waiting for both cakes to cool I cut off the excess cake and added the jam into the middle, it was then time to add the icing. Adding the icing was probably the trickiest part, I had to open both packets and roll them into a rectangular shape so it would cover the whole of the cake, along with having to have enough left to make all eight studs. *tip: to make the studs use a milk bottle top. I hope this has been helpful, feel free to ask any questions. How do you get your festivity up a notch? 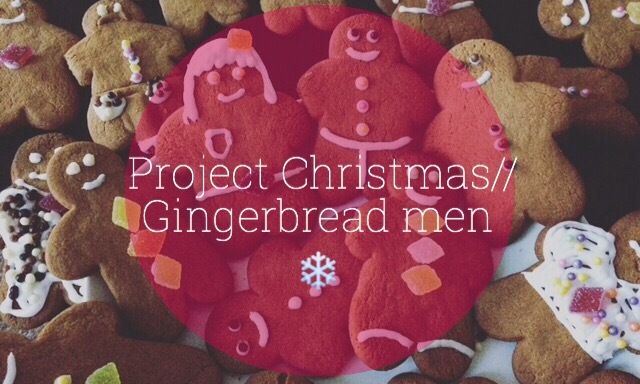 Make gingerbread men. After a day filled with Christmas music, shopping and putting up the tree it was time to get the taste of Christmas… And obviously have some fun! Our gingerbread men were pretty simple to make and only took about 15 minutes to cook, so if you have some spare time definitely make some. They tasted amazing and we managed to make loads more than what the recipe originally stated, which is always a bonus. If you would like to try them out here is the recipe. 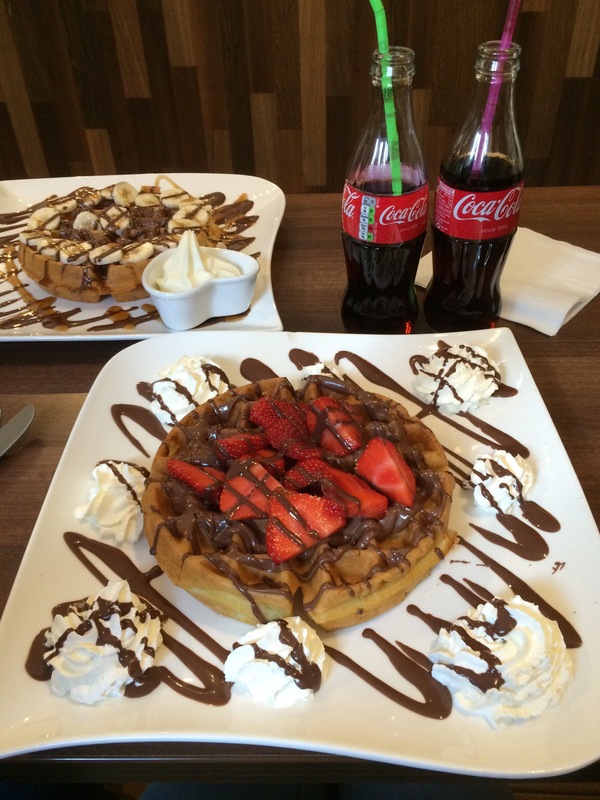 Anyone who has a sweet tooth or loves chocolate needs to go to off the waffle. It is the perfect meal for anyone who loves a tasty treat. Just look at them, perfection! Off the waffle offer lots of different waffles and crepes with a mixture of toppings ranging from Nutella to Kinda Bueno. The portions are huge so if you ever do go, don’t eat before hand! I had the Nutella and strawberry waffle and will be returning for the m&m waffle.